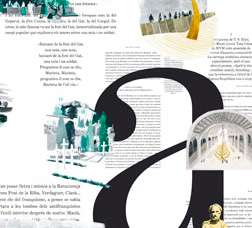 The display area in the Sala Ciutat is paying homage to the book Barcelones, by Manuel Vázquez Montalbán, with a mural by the designer Carles Murillo and the illustrator Pau Gasol. This magazine provides a voice for reflection and debate on the challenges of the global city and urban transformations which affect the lives of local people. Discover the memory programmes that are aimed at preserving, conveying, publishing and ensuring the use of the ethical and political heritage made up from the past in all its forms and manifestations. Housed in the former Born Market building, this centre encourages and promotes reflection on local and national memory as well as global events, through encounters, debates and areas dedicated to learning and exhibitions. Consult the wreaths laid along the Rambla that have been catalogued and digitised by the Museu d'Història i l'Arxiu Municipal. The aim is to preserve the memory of the public response and to explain to future generations the solidarity action that occurred in the aftermath of the terrorist attacks. 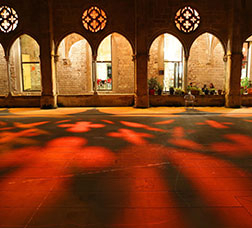 Many of Barcelona's neighbourhoods still preserve the spirit of the past in squares, cloisters and passages. Discover the city’s main charming spots. Find out about the various themed routes, guided tours and proposed trips available for exploring the wealth and diversity of Barcelona’s urban landscape. 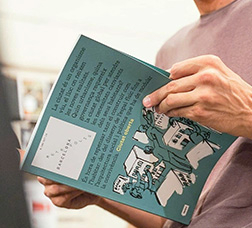 Thanks to an initiative called Barcelona Llibres, the City Council is putting an extensive catalogue of publications on a range of subjects and in various formats at your disposal. These include publications on culture, art, sports, history, the city, politics, urban planning and economics. Open the gateway to the origins of the city, rediscovering the people, facts and events that have shaped the city from ancient Barcino to modern day Barcelona. 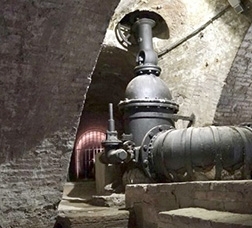 Want to know all about water in Barcelona? Various entities and facilities are offering a programme of activities on water as a universal, public and scarce asset, which needs to be valued and maintained. 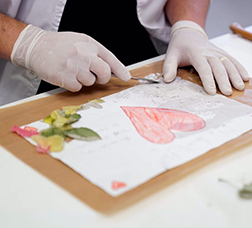 The programme includes visits, tours, walks, workshops, talks and seminars. 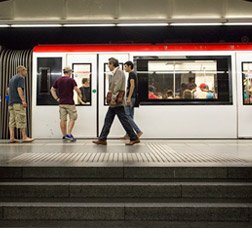 Discover Barcelona’s history, corners, agenda and attractions from a new perspective: its metro stations.